Hollow tine aeration is the removal of small ‘plugs’ or ‘cores’ from your lawn, with a purpose built lawn coring machine. This machine will punch holes in the lawn with hollow prongs, and the soil is then removed leaving an open space in the lawn. This is effective at loosening up compacted soil, allowing essentials such as water, air and fertilisers to properly reach the root zone of the grass. Imagine the soil underneath your lawn, how long it’s been there, and how much footfall and bad weather it’s taken. This could be an area of the garden where children regularly play, or lots of furniture is kept. Over time, this soil will have become compacted, leaving it struggling to get oxygen and other essential nutrients. The roots of grass may be underground, but this doesn’t mean that they don’t need oxygen; the process of hollow tine aeration is used to create holes for air to effectively flow through, giving the roots what they need to stay healthy. You may not realise that your lawn is in need of aeration, but there are some tell-tale signs that it’s not properly getting all of the air and water that it needs. A common sign that is often misunderstood as having a different cause is the appearance of moss plants over the garden. The arrival of these plants may start a campaign against the moss, without the realisation that they are a sign of compacted soil or thatch. This compaction causes the lawn to drain poorly, making it ideal ground for moss to grow. This is one specific example of when hollow tine aeration would be needed, but this isn’t the only time that your lawn would benefit from the procedure.  If the condition of your lawn is a cause for concern, or you may just suspect that it’s in need of aeration, then Greengrass are here to help. We offer professional lawn treatment services for residential clients throughout Suffolk and North Essex. As well as hollow tine aeration, we specialise in all aspects of lawn care, ensuring that your lawn is kept green, lush and healthy all year round. For more information or to get started with lawn care, give us a call on 01206 392813, email us at info@greengrassltd.com, or use our contact form to get in touch.